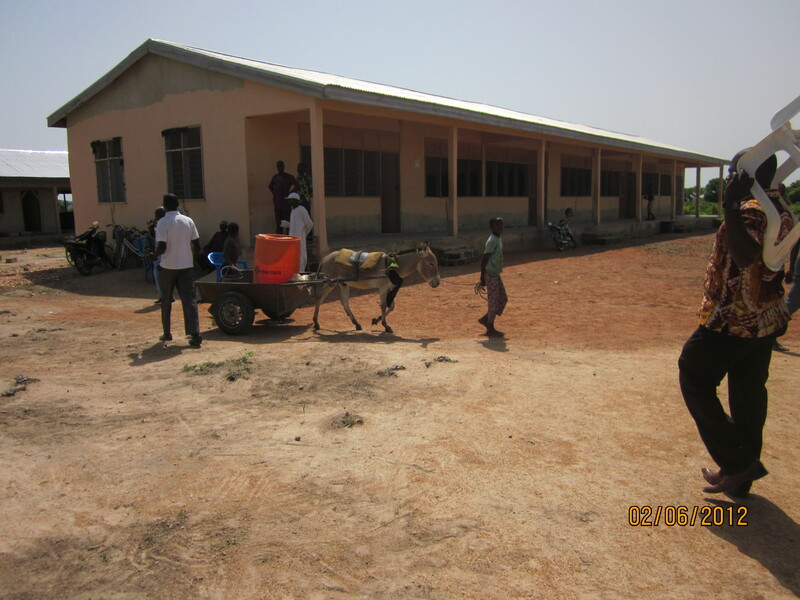 Impressively, this Upper Eastern Region community has built a senior secondary school just outside Paga, the border town on the road to Burkina Faso. They have finished the first teaching block, which is in use for SHS 1 and 2 classes, and are in the process of building another block. The hope is to construct a girls’ dormitory block so that girls do not have to walk the 2km to and from town each day. The GSA grants will go to building a well (drilling a bore hole) for clean water for the school. The pictures show (1) a full classroom and (2) a helpful donkey on the site. Update: Thomas Nabonadam, Assistant Field Securty Officer, Abidjan, has emailed to say that the GSA grant has been received by the school and they are proceeding with arrangements to drill the borehole. This entry was posted in Projects and tagged paga-community-school by Penny Sewell. Bookmark the permalink.